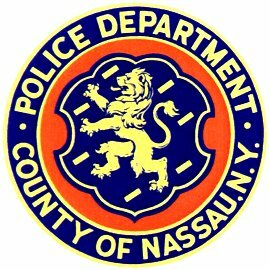 North Bellmore, NY - August 26th, 2014 - The Homicide Squad reports the details of a fatal motor vehicle accident that occurred in N. Bellmore on Monday, 08/25/14 at 1:53 P.M. According to detectives, a 2000 Honda Accord, operated by Stephen Clark, 20, along with his passenger, Robert Treimanis, 19, both of East Meadow, were travelling westbound on North Jerusalem Ave./Roxboro Court, when his vehicle crossed over into the eastbound lanes and was in collision with a Mitsubishi landscape company dump truck, towing a tandem wheel trailer, who had been travelling eastbound on North Jerusalem Ave. Nassau County Emergency Services and Fire Department members extricated the two occupants of the Honda, who were entrapped in the vehicle. North Bellmore and East Meadow Fire Department Ambulances transported the driver of the truck, along with his two passengers to a local hospital, where they were treated for minor injuries and released. Nassau County Police Department Ambulances transported Stephen Clark and Robert Treimanis to a local hospital, where they were pronounced dead by staff physicians at 2:23 P.M. and 2:19 P.M., respectively. Both vehicles were impounded from the scene for brake, safety and mechanical inspections. The driver of the truck was issued traffic tickets for being unlicensed and having a suspension on his existing record. The investigation is ongoing. Subject: LongIsland.com - Your Name sent you Article details of "Fatal North Bellmore Car Crash Under Investigation"